This video was chosen thanks to YouTube suggestions, sometimes I use it for ideas when I can't think of a video. This time, I used it because I feel like I'm filling up my blog with female singers and I need some more variety. 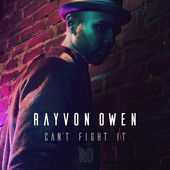 Now I've found Rayvon Owen, and he is my new gay male singer fix. Whilst Steve Grand is away, hopefully working on album number two; and Troye Sivan is doing his own thing, I needed someone new to fixate on... Well here's Rayvon Owen. This music video is known as Rayvon Owen's official coming out story telling the world that he's gay. He watches Shane Bitney Crone from afar before taking a risk and making a move. Confident people always get what they want and therefore it should always be rewarded in my book. Rayvon Owen came to prominence in the 14th season of American Idol. He managed to get to the final and finished fourth overall. The music video acts as his official announcement that he's gay. He has had an all right career since American Idol, but clearly, this video has helped to promote him as an artist, and hopefully it's the start of some great things to come because that voice is beautiful. Directed by Justin Clough, the video features actor Shane Bitney Crone as his love interest as well as actress Halle Huff as the best friend. It is both a narrative and performance music video and is definitely the complete package. The narrative is interesting, a lot of shots of Shane Bitney Crone and Halle Huff, at times it's more focused on her than anyone else, which is slightly misleading. Yet, when watched again, she's obviously the best friend and they are clearly talking about Rayvon Owen. I love the slight nod that Halle Huff does to Rayvon Owen towards the end, it's definitely something you would expect a best friend to do, and my friends have certainly done it for me a few times. However, Rayvon Owen has a lot of confidence. he goes after Shane Bitney Crone. This doesn't happen to me, my best friends try to usher someone over but I have to be the confident one. The performance side is amazing, this guy has perfect energy. He would be amazing to see live, that is for sure. As for whether he needed a coming out video, in a day and age where it shouldn't be a problem.... That is open to interpretation. Personally, I think people in the public eye have a duty to become gay icons, someone others can look up to. As Rayvon Owen said: "You’d be surprised at the amount of times I tried to pray the gay away from me or tried to tell God to take this away from me. No kid should have to do what I did and pray to not be who they are. That’s why I think it’s important even in 2016 to say this." The fact that kids can look up to him and have the confidence to come out and be proud of who they are is amazing. I didn't have anyone to look up to when I was younger, and every gay guy on TV, in music, or elsewhere were slated by my friends and family. Having someone to look up to and encourage people to be happy with who they are is genuinely a needed thing in society. Overall, this video has everything, including a sensual gay kiss at the end which is so great to see. Such a happy ending in this gay music video, which is usually difficult to find. Rayvon Owen and Shane Bitney Crone are now officially a couple and they definitely look cute together.